It’s Time, Are You Ready? It’s that time of year again when you might have company. Is your home ready? If not, we can help! We have lots of new products that will certainly lend a helping hand in sprucing up your space before your guests come to town. Plus, we have several special shopping events planned outside of our regular store hours to give you extra time to shop! 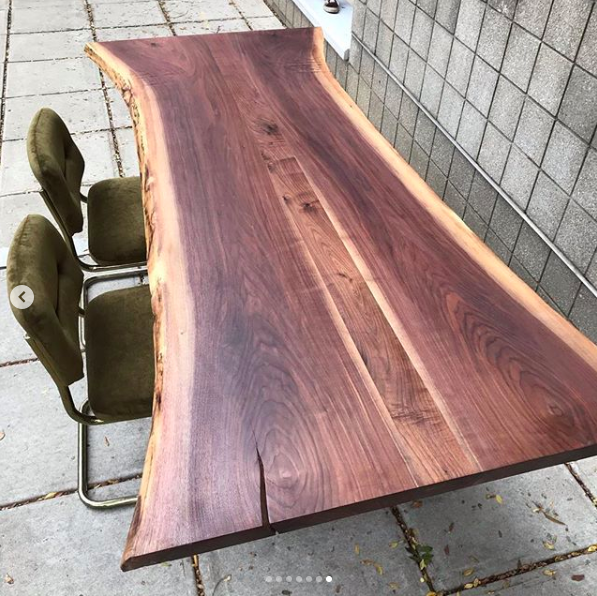 You get to pick your slab and we will finish it into a beautiful tabletop. Get yours now as there are only a few in stock! 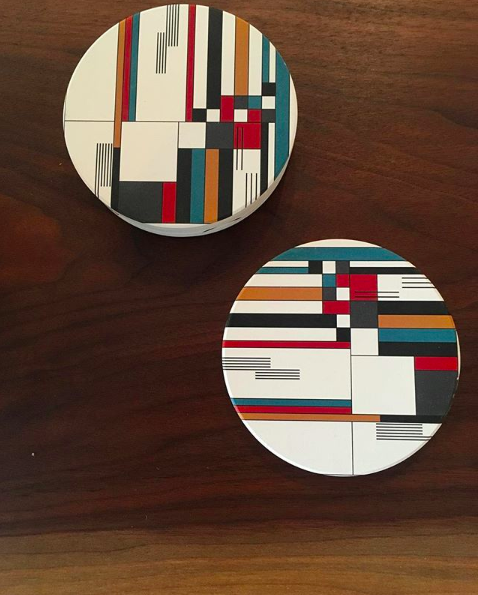 These Bauhaus coasters were designed and created in small batches in the USA by a husband and wife design duo. We love that they are absorbent, keeping moisture off your tabletop. Other designs available! 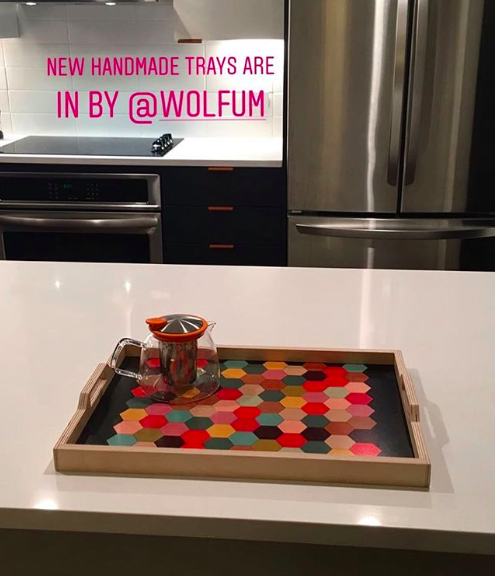 We searched low and high for the perfect serving trays and found them! They are made of Forest Stewardship Council certified Baltic Birch and handmade in the USA in small batches. There are 4 different designs to choose from, and each tray measures 18.5″ x 13.5″. 3rd Thursday, November 15th: Our store is open until 9 pm along with 20+ other independently owned shops downtown. Visit DTindependentshops.com to learn more! Saturday, November 24th: Our doors open an hour earlier at 10 am for Small Business Saturday. We’ll have hot coffee and specials that day! Friday, December 7th: First Friday Featuring Artist, Georgia Tardy. Our store will be open until 9 pm this evening. Thursday, December 20th: the next downtown Raleigh Independent Shops Third Thursday. We will be part of a shopping tour.